A varied selection of favourite images aircraft and airports - Days gone by. The big and the small - Something truly for everyone! 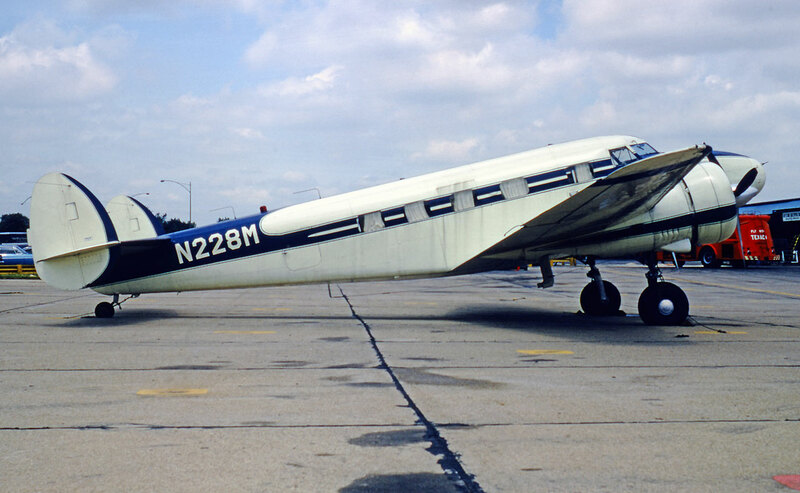 N228M Lockheed 12A (1247) at Philadelphia International on 10 July 1968. 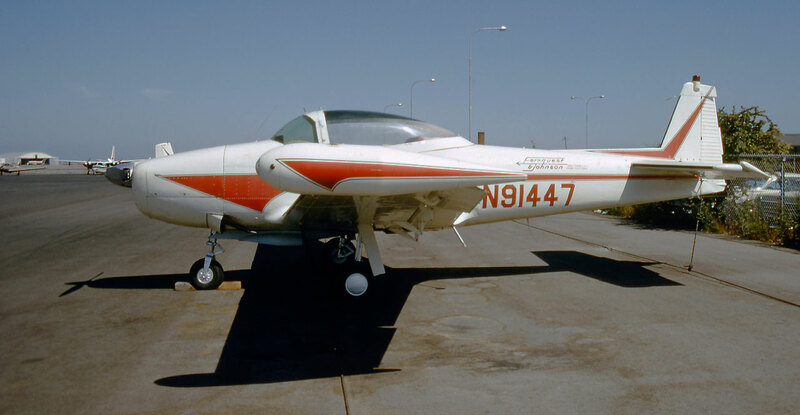 Started life off as NC8965, then N9052 and after N228M, became N10PB. 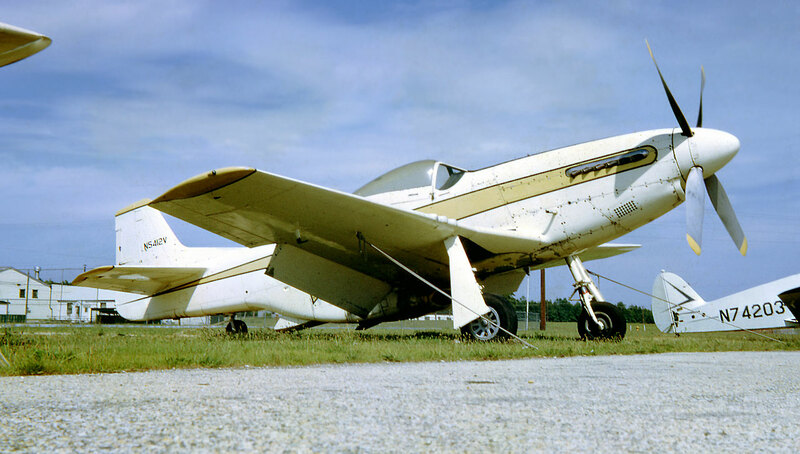 Wriiten off in landing accident in Virginia 17 January 1973. 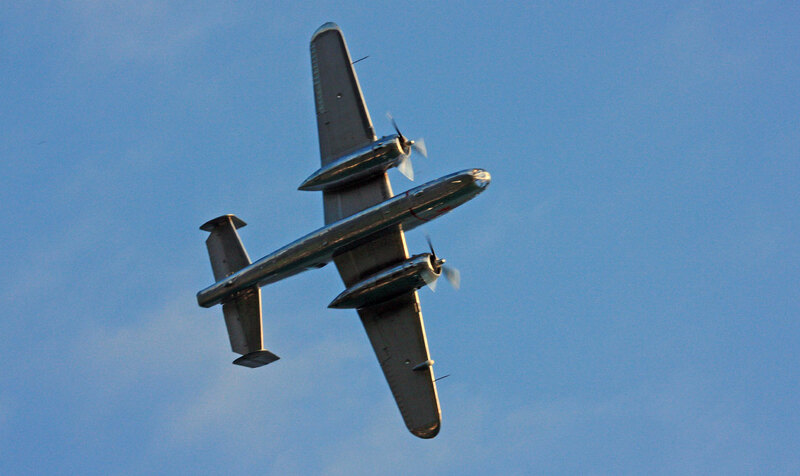 N768A Beech 65 B-80 Queen Air (LD-315) Altair Airlines, typical commuter craft of 1968. 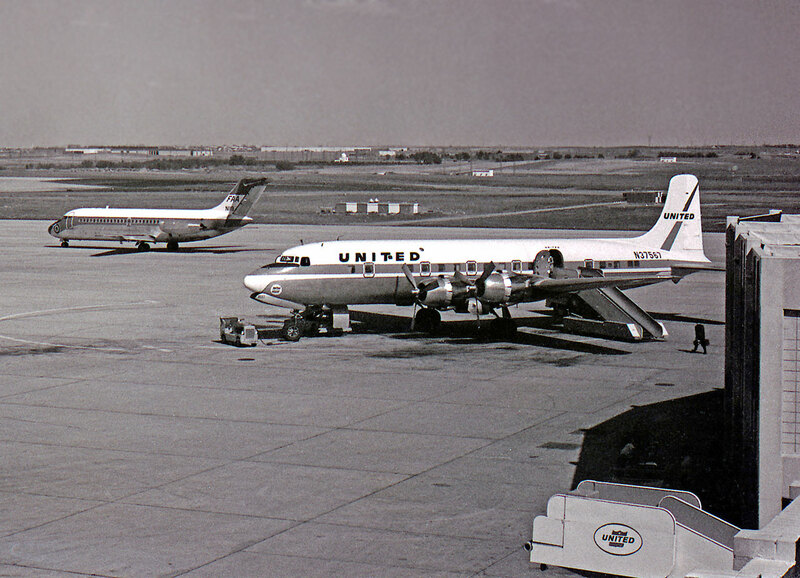 Philadelphia International - 10 July 1968. 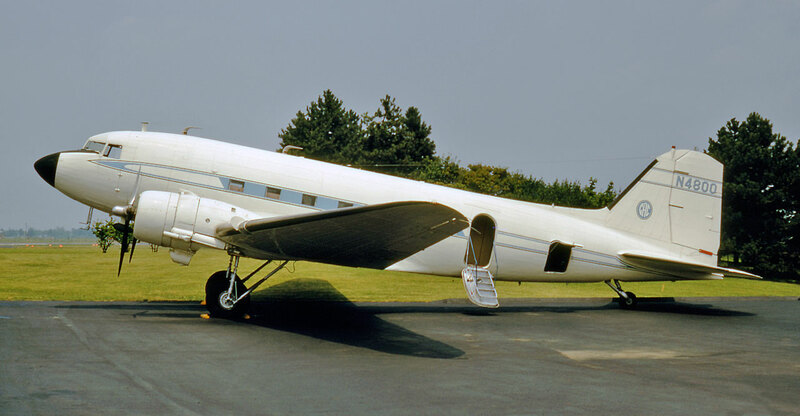 N4800 Douglas DC-3C Dakota (4497) at Allentown - KABE, Pennsylvania - 23 July 1968. 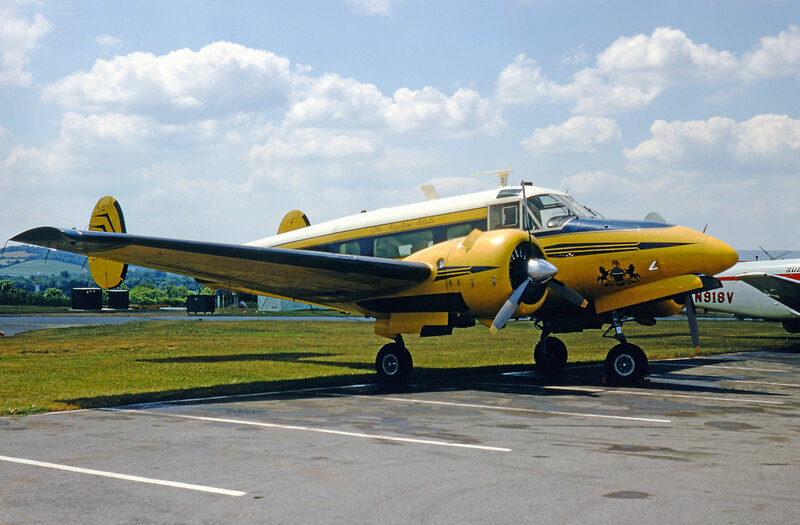 N20PA Beech H18 Tri-Gear (BA-694) operated by the State of Pennsylvania, (The Keystone State) shares the ramp with N918V de Havilland DH-104 Dove 6BA (04343) at Reading - KRDG, Pennsylvania - 20 July 1968. 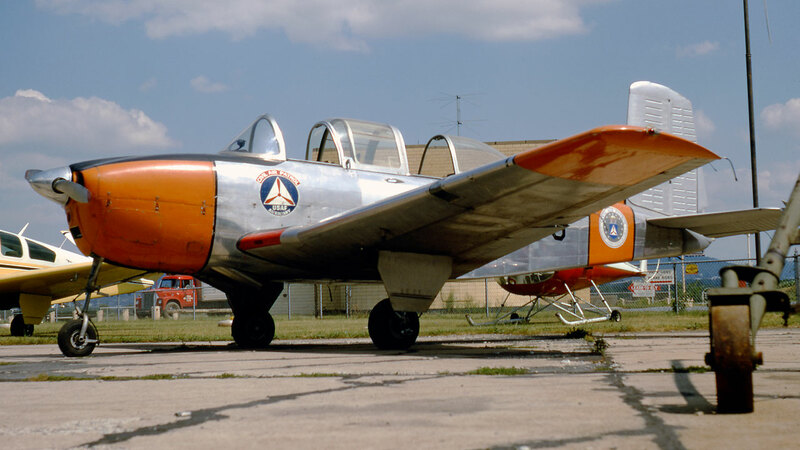 N12278 Beech T-24 Mentor (G-278) of the Civil Air Patrol, was another Reading resident. 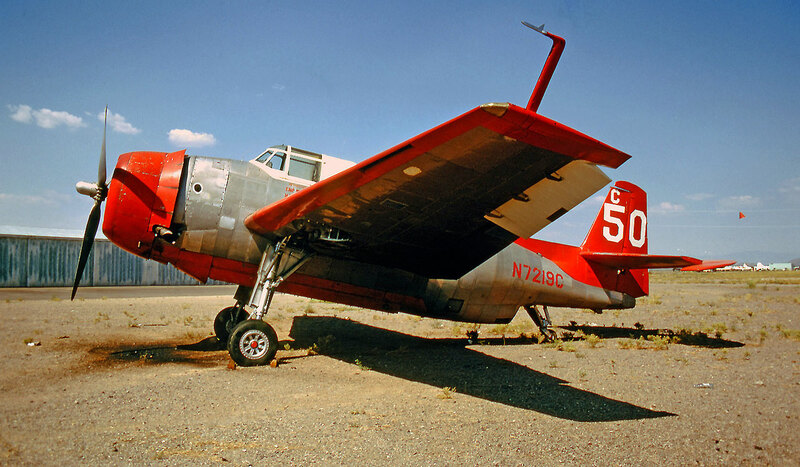 N4910V Consolitaded Vultee L-13 (47-395) saw two of these on my travels, this one at Prescott, Arizona on 08 September 1968. N5412V North American P-51D-25-NA Mustang () ex 44-73586. 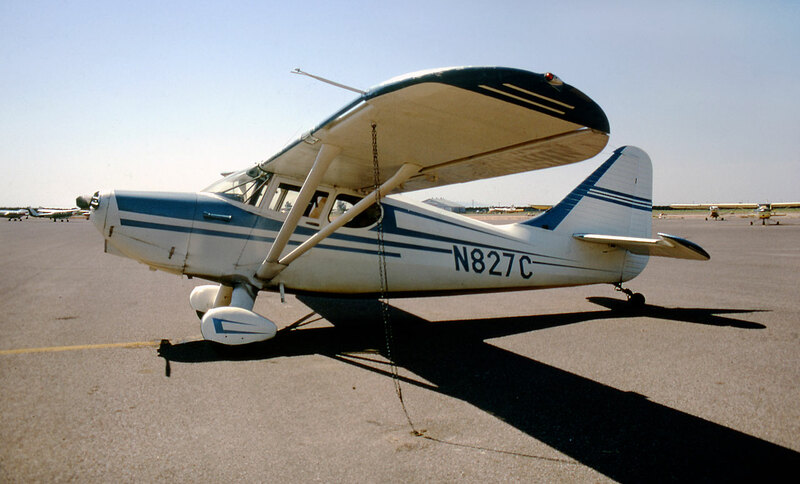 I discovered this aircraft at Millville, New Jersey in August 1967 while on a 40 minute cross-country flight in a 1940 CP66 Portarfield N27259 (746) from Lovett, Delaware. 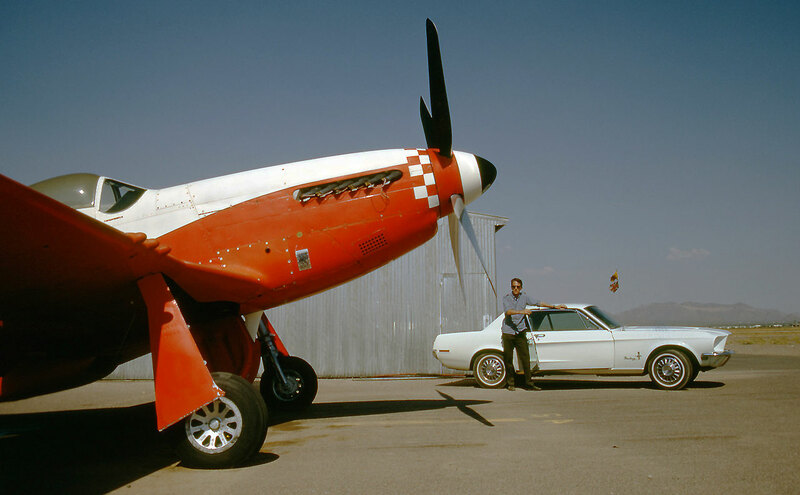 The Mustang had been purchased for surplus for $711.00 in 1957! 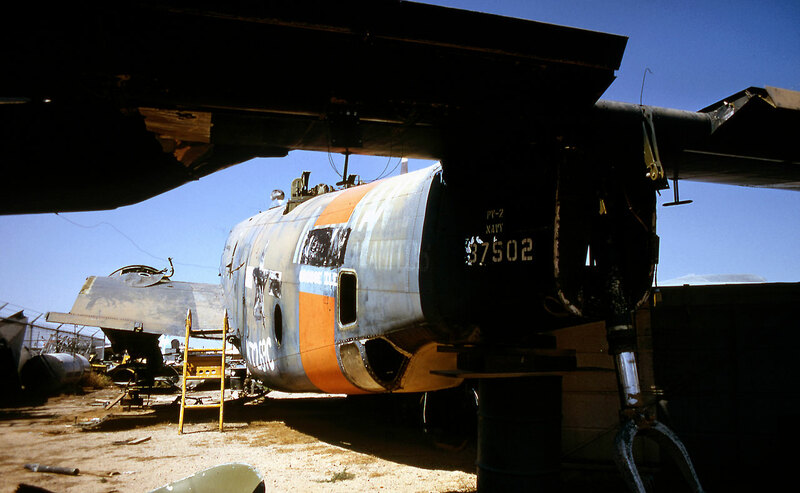 Crashed Coatesville, Pennsylvania, 13 October 1974. 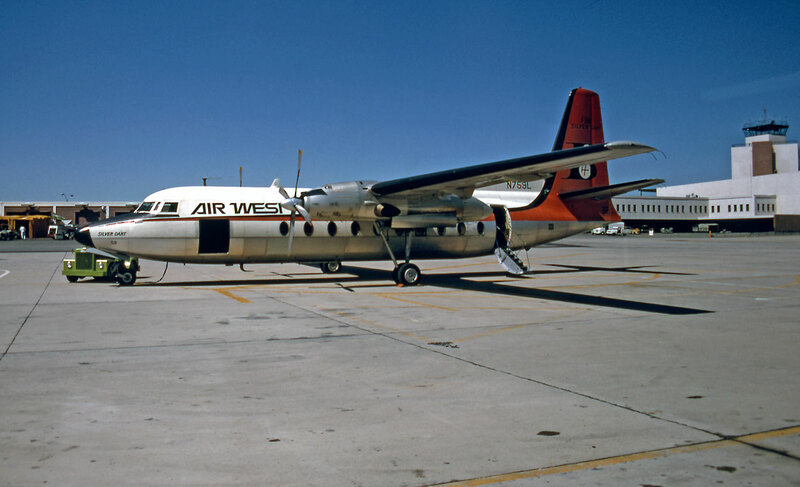 N759L Fairchild F-27A "Silver Dart" (108) of Air West, still in Bonaza colours at Salt Lake City, Utah. N2979G Boeing 727-193 (19305) Air West ready to take me from Salt Lake City to Los Angeles on 05 September 1968. 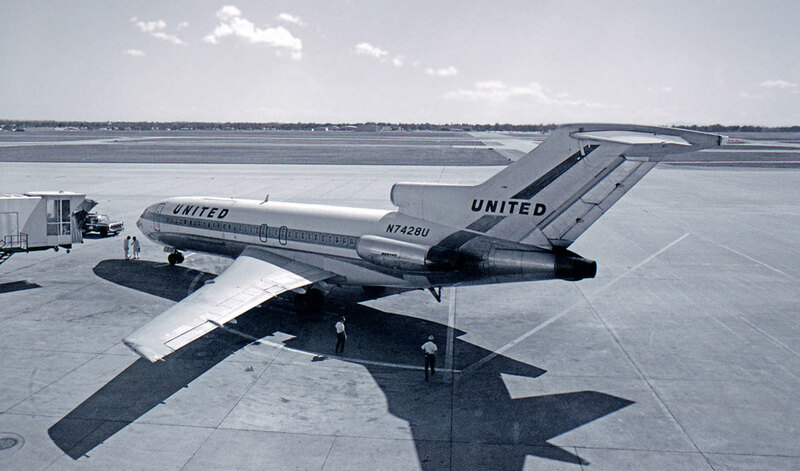 N9104 Douglas DC-9 (47081) of West Coast after I arrived at Phoenix Sky Harbor on 05 September 1968. I was usually the last to deplane, and grab a snap. 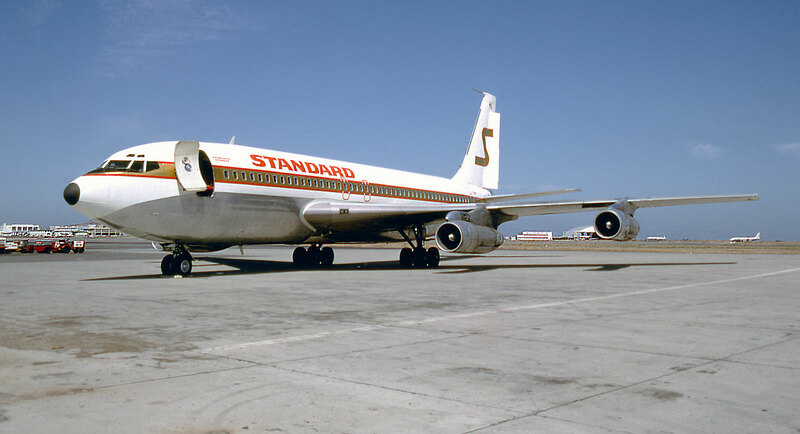 This aircraft was destroyed by fire after skidding off the runway at Denver Colorado on 16 November 1976, when operated by Texas International. 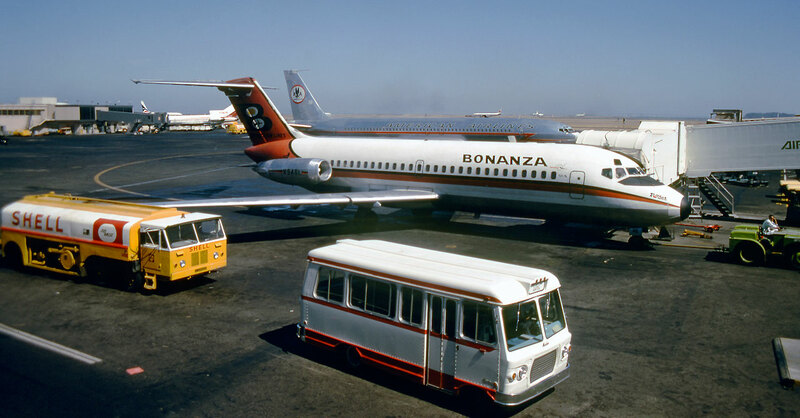 N946L Douglas DC-9 (45729) Bonanza Airlines, my recent transport, parked at San Francisco. 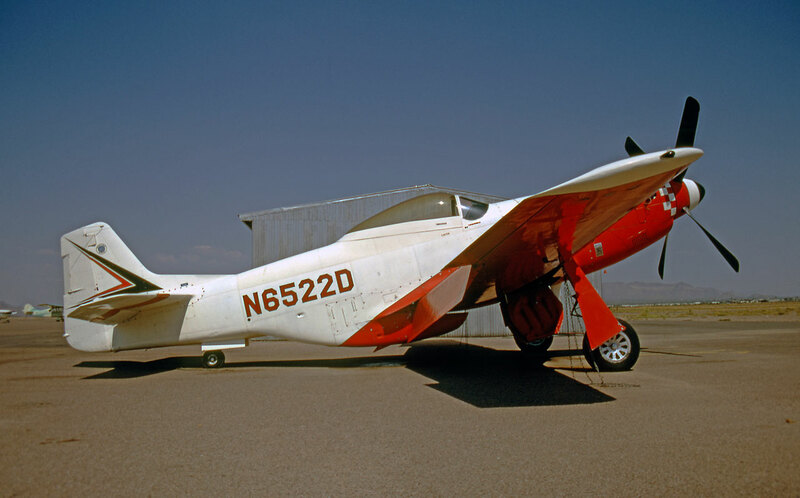 On this 1968 trip, the aircraft were more modern and cruised a higher altitudes, whereas in 1966 I was mostly in propellor planes cruising at lower altitudes. These flights provided fantastic views of airfields passing underneath the flightpath. Because of this change, I had to make do with arrivals and departures to really get a look at the airfields. Sometimes I had the chance to take a snap. 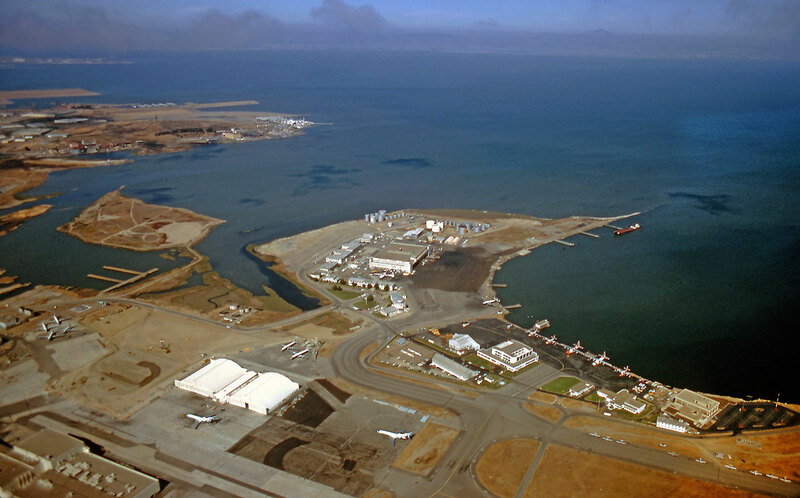 Here is a grand view of the San Francisco U. S. Coast Guard base. 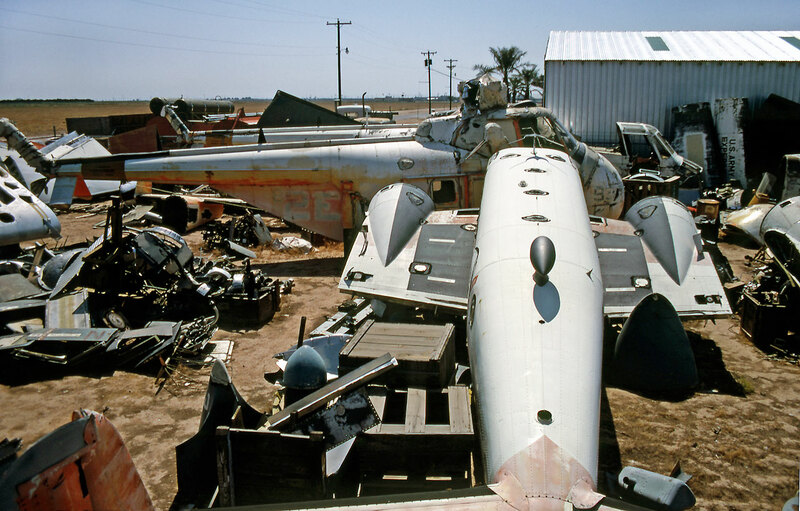 Scattered around are some other interesting aircraft, including a CL-44, Connie, two DC-6 and three others and a lone C-46. The Visit USA ticket I had by now had become a "Stand By" selection, so windows were not always possible. I think I became a regular at some locations, and often the ticket agents would look up and say "Where to today?" - winking and giving me a great seat allocation. A few Jet Commanders graced the ramps, here are N1500M (71); N1100M (86); N913HB (40); N700CB (44). 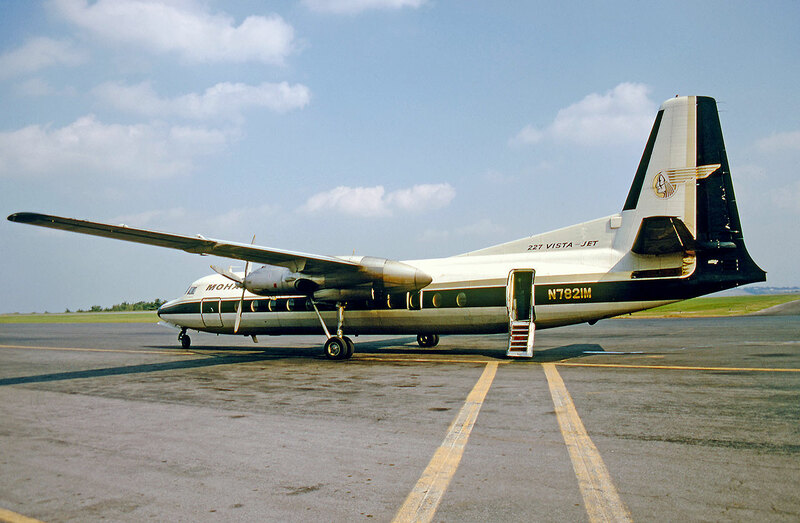 I had seen N1500M before on 29 August 1966 at Salt Lake City. I seem to remember sticking my head in the door to have a look at this relatively new form of luxury transport! I just had to shoot each one. N2522B Ryan Twin Navion (TTN-67/NAV-4-444) sits on the ramp as Air France 707 departs. 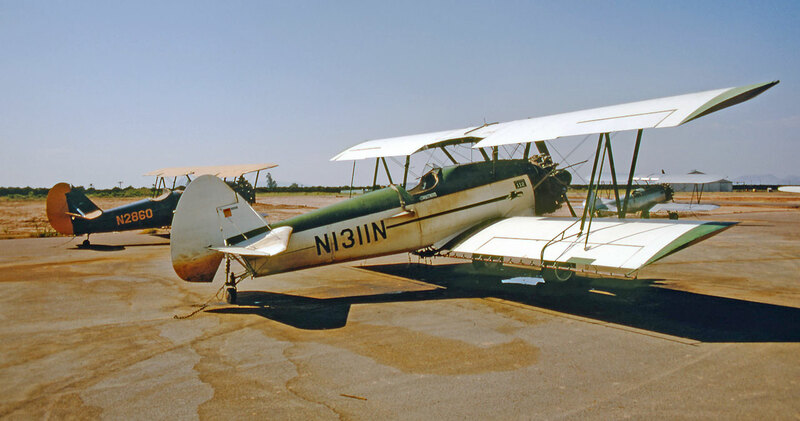 N91447 Ryan Navion (NAV-4-268) with tip tanks. 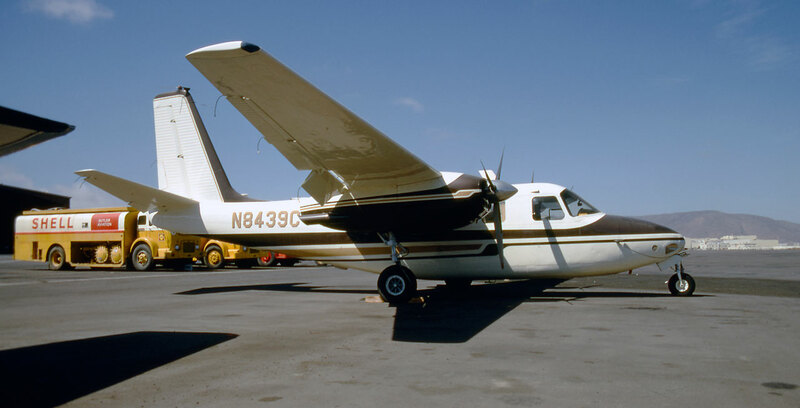 N8439C Aero Commander 680E (680E-774-47) 1959 build, on the vast Butler Ramp at San Francisco. N3896C Beech T-34 Mentor (C-106) Civil Air Patrol at Phoenix - Skyharbor - KPHX. 06 September 1968. What a place in 1968 - what a place today! 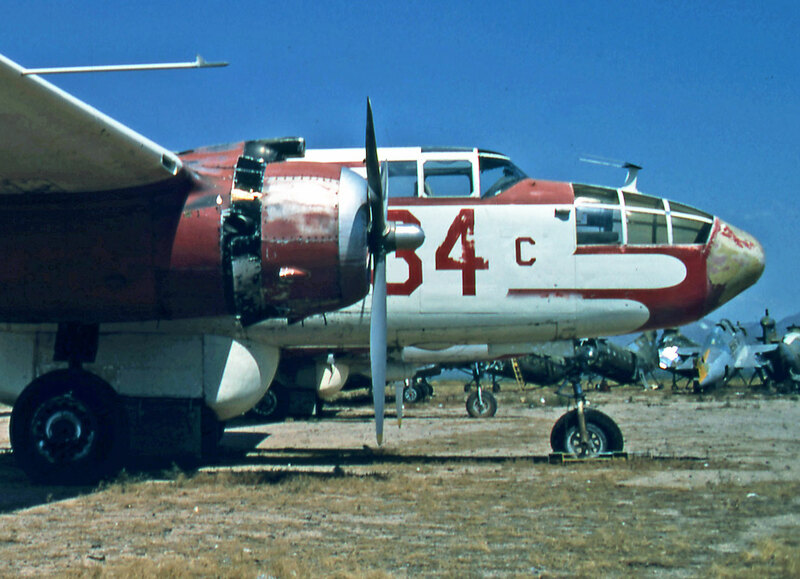 N6123C / North American B-25J Mitchell (108-47547) ex 44-8689334c sharing a hot ramp at Mesa. 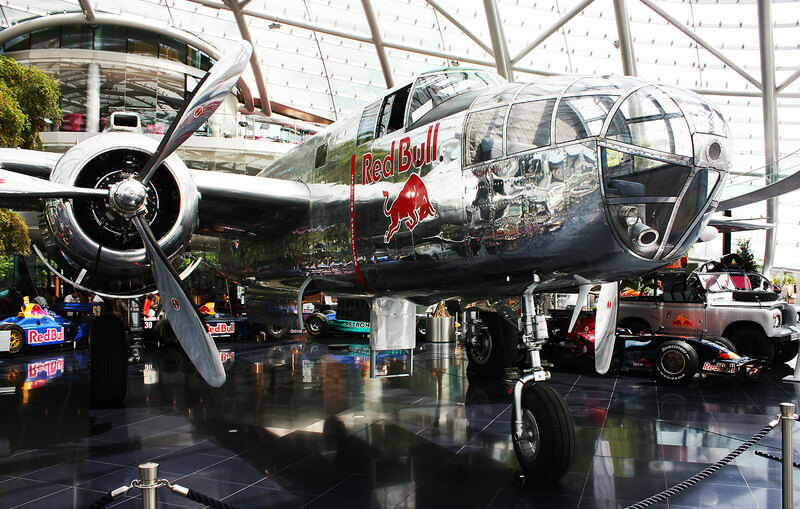 Again, this B-25 and I crossed paths 43 years later, in Austria in fact!! N6123C and I come face to face again, well not quite. Over Lake Wolfgangsee at the Scalaria event on 09 July 2013. 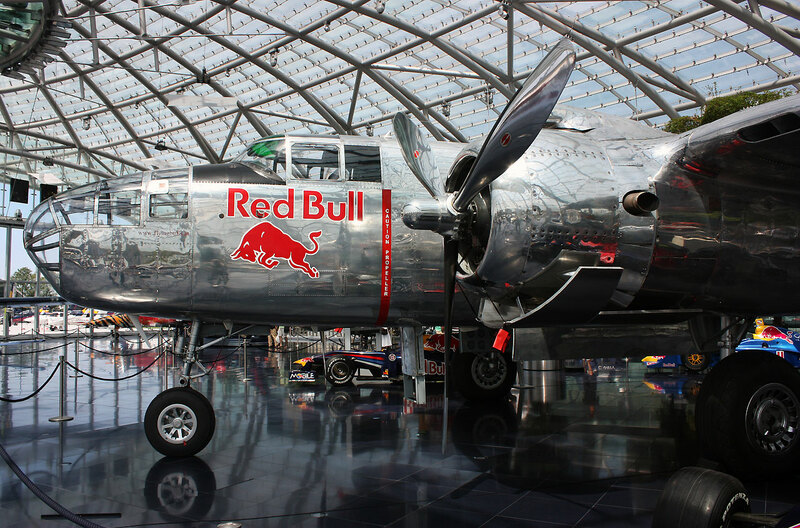 The next day, as a guest, I had a closer look at the Red Bull main base at Saltzburg Airport. 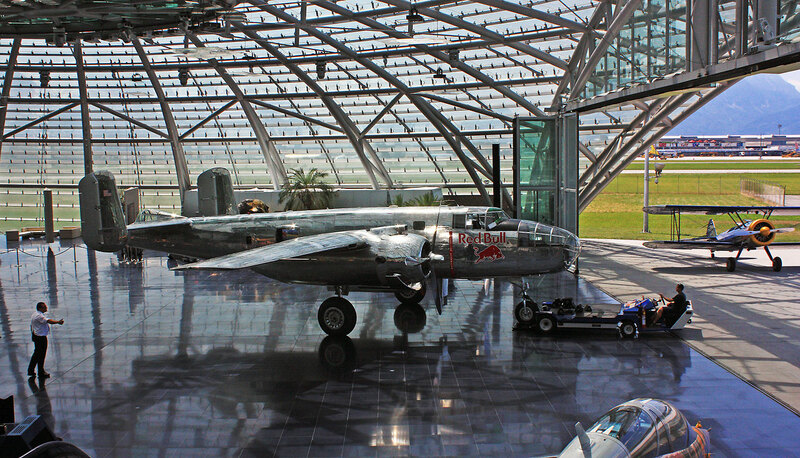 Both Hangar 7 and the maintenance Hangar 8! 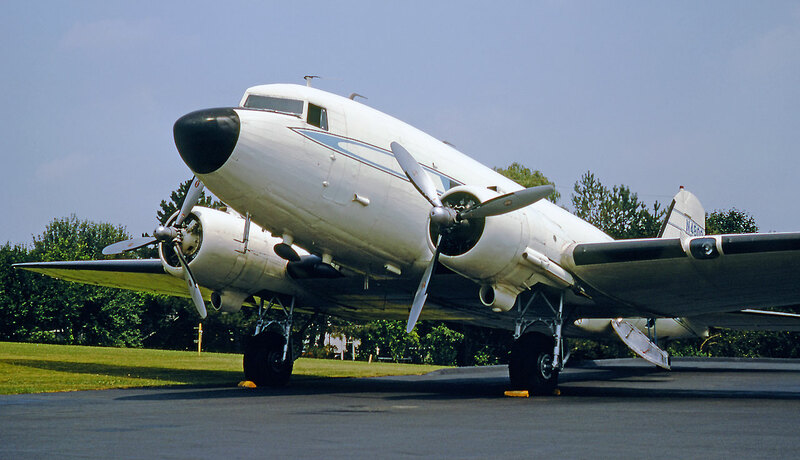 Have a look at my tour around their fabulous Douglas DC-6B if you wish. A "Now and Then" comparisons. 1968 - 2011. 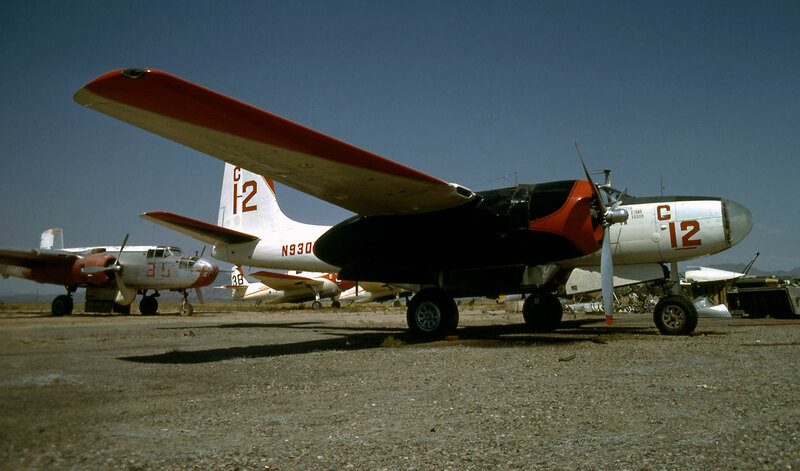 N9926Z (4379) E38 ex 91474 and N9927Z (2688) E39 ex 85869 Grumman TBM-3 Avengers of Aircraft Specialties Inc., bake in the desert sun at Mesa, Arizona on 08 September 1968. 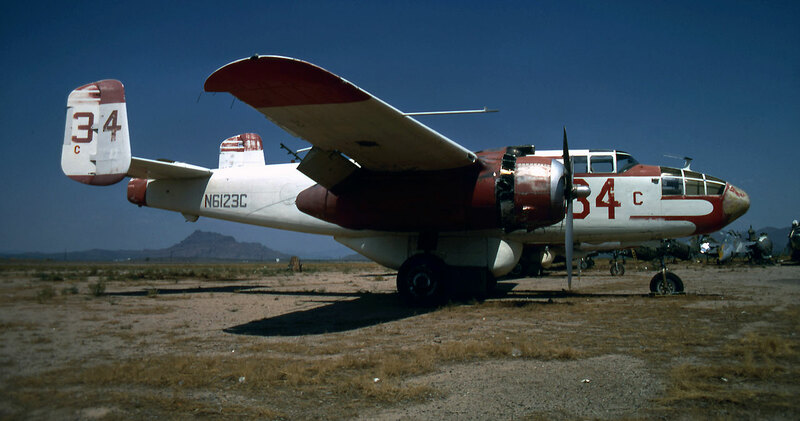 N9926Z was destroyed by fire on take off 06 June 1970 at White River, AZ in a non-fatal runway accident. N9927Z ended up as F-AZJA and lives on in France. 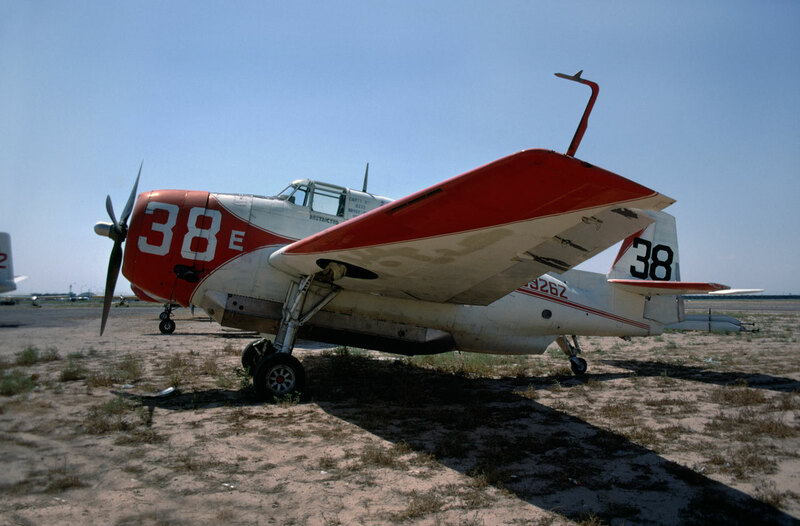 N7219C Grumman TBM-3 Avenger (3099) C50 ex 86280 looking just great in the Arizona sun. 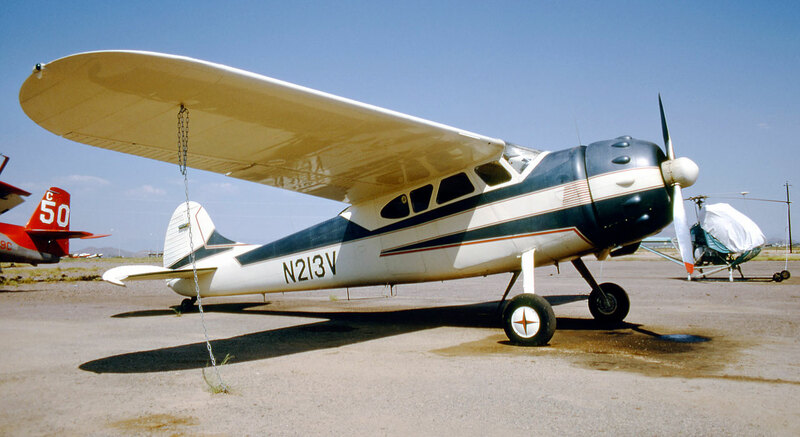 Preserved by Cavanaugh Flight Museum flying as N86280. 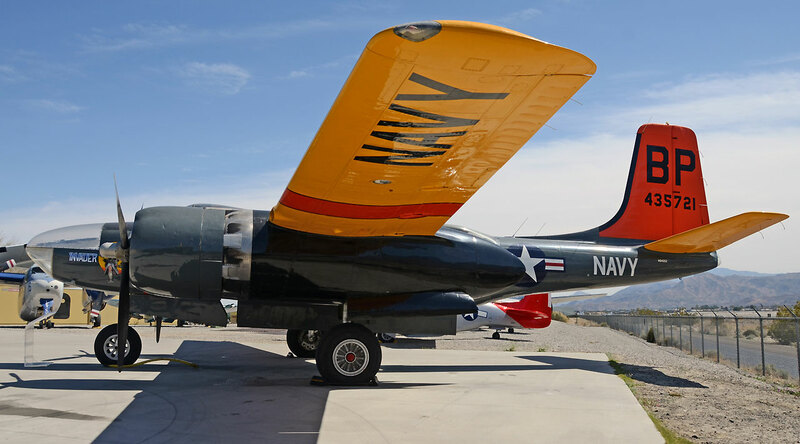 N9301R Douglas A-26C Invader (29151) C12 ex 44-35872. 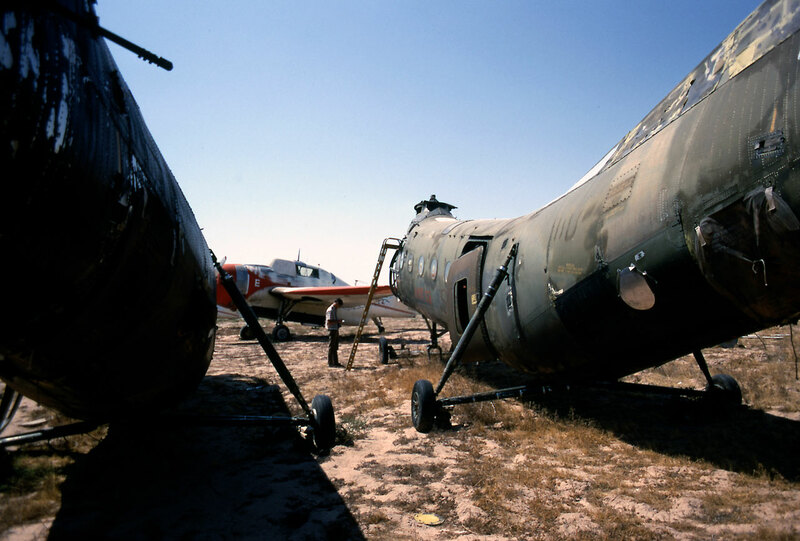 Destroyed in forced landing 16 May 1969. 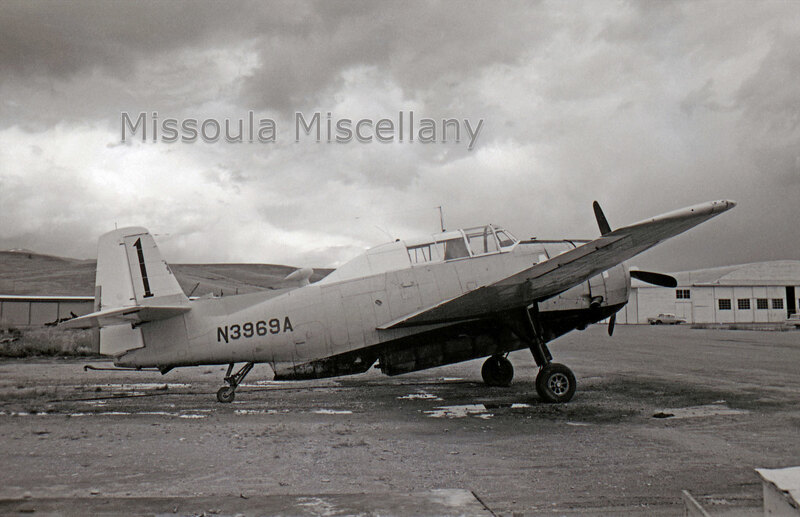 N9163Z Douglas A-26B Invader (27938) ex 44-34659. 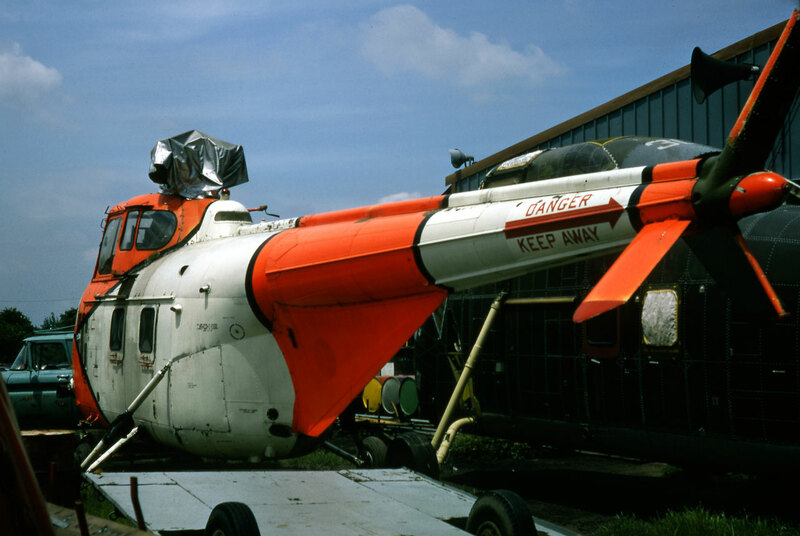 I later saw this aircraft many times from Highway 401 as it sat perched on the roof of Mackie's Moving & Storage in Oshawa, Ontario 1974-1999. 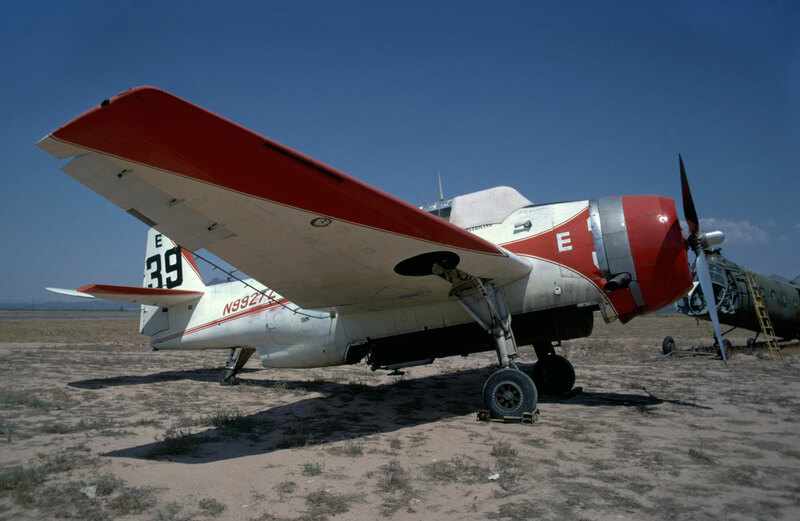 N63163 Consolidated Vultee BT-13 (308) takes part in a "tail-gate" party. I think this aircraft was owned by Twentieth Century Fox Studios. My pal Tom Baillie at work. 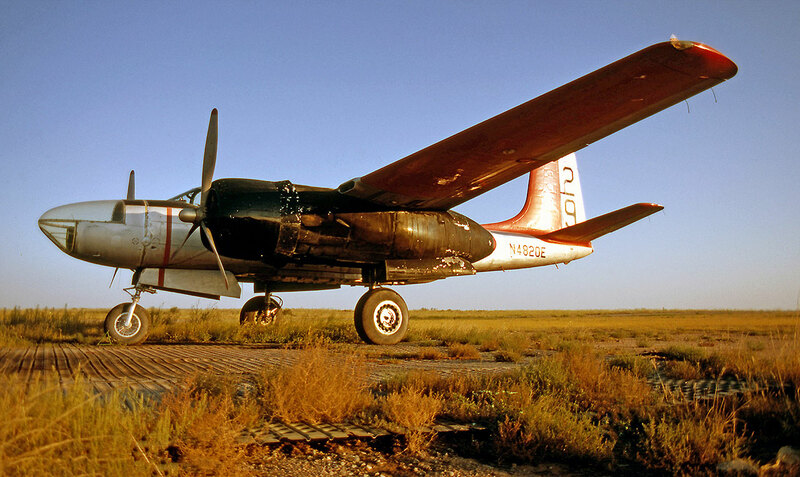 Happiness is wandering around old aircraft in fine weather. Here he makes notes on one of the six Piasecki CH-21C Shawnee helicopters present. N6718C Lockheed PV-2 Harpoon (15-1415) this one kitted out with spray bars. 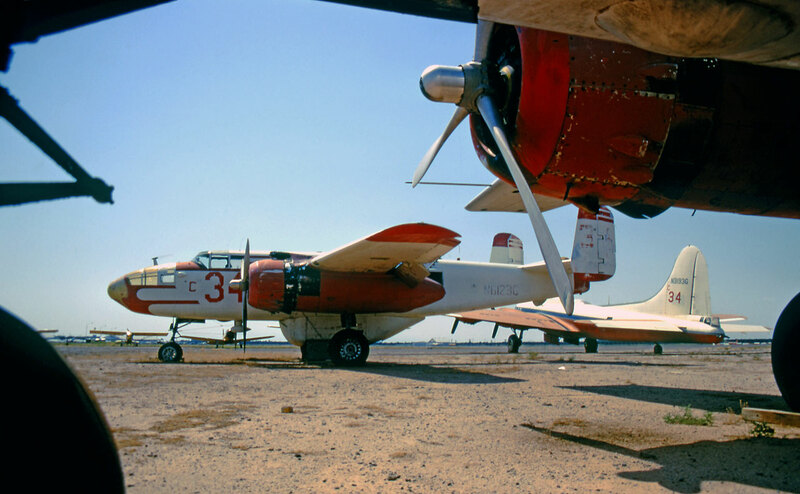 N7486C Lockheed PV-2 Harpoon (15-1385) gets some attention in the hot sun. 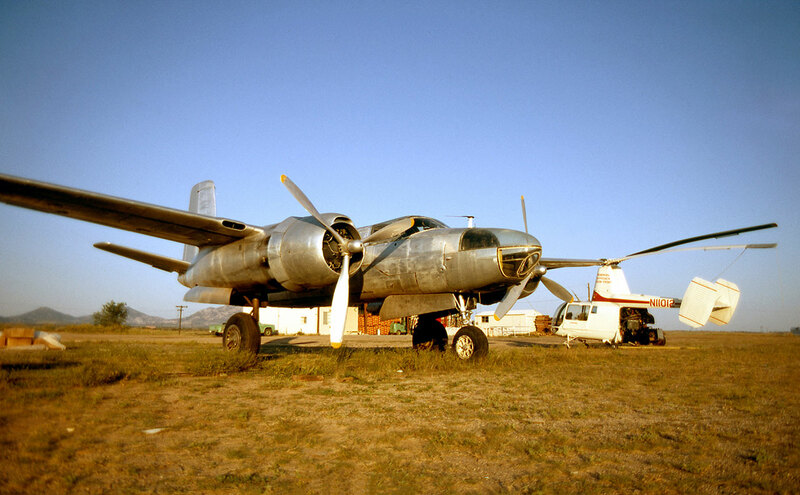 I believe this airframe ended up at Rome - Ciampino, Italy. 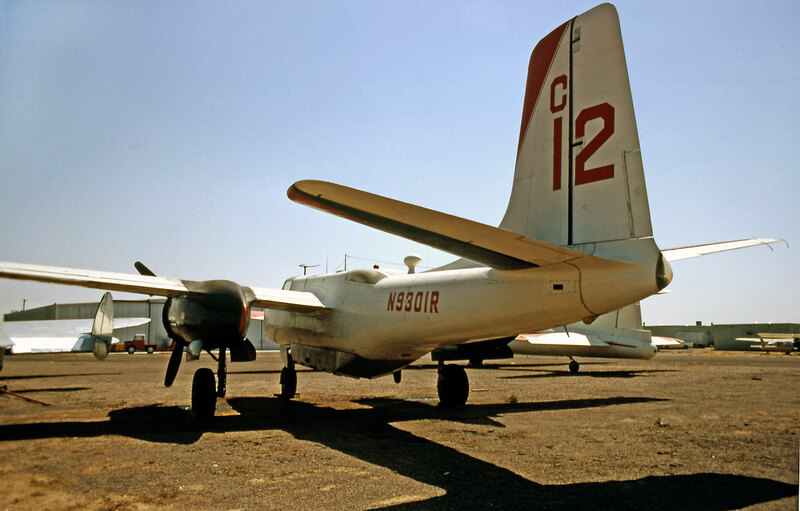 Lots of PV-2 activity here at Falcon Field, even on subsequent visits by yours truly many decades later. 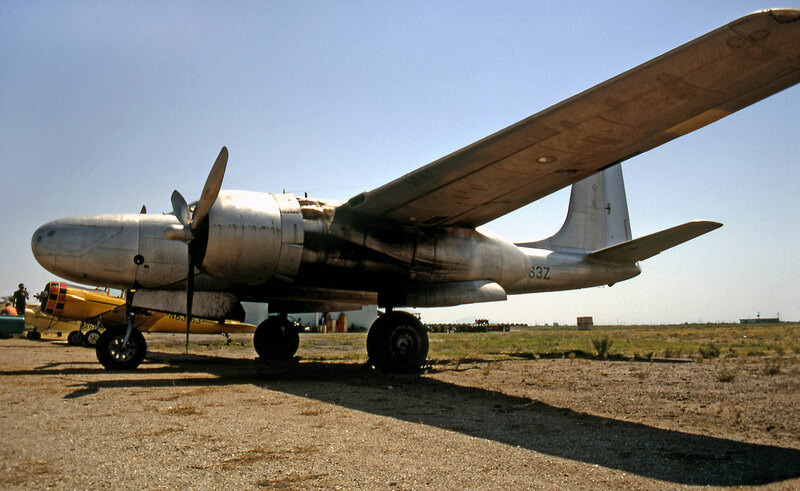 N7269C / 37502 Lockheed PV-2 Harpoon (15-468) I/202 Denver ex Grosse Ile and Los Alamitos, gets robbed of parts at Falcon Field. 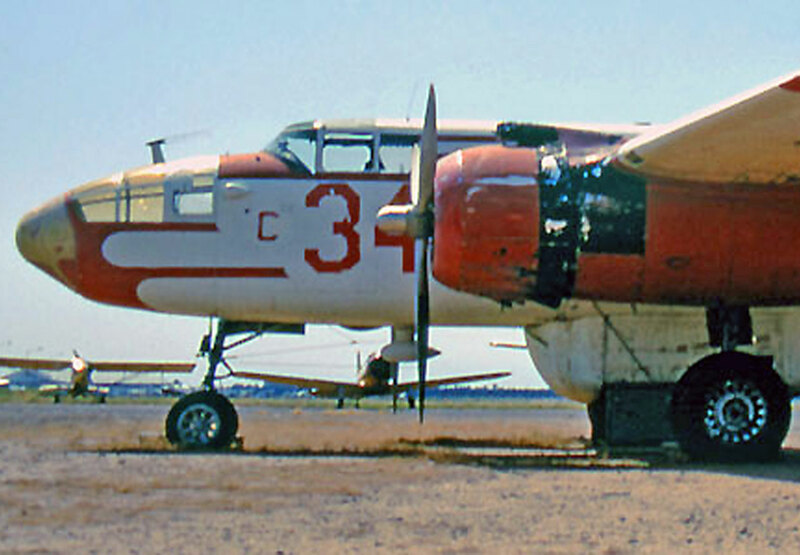 51-11903A Beech RC-45H Expeditor (AF-460) ex USAF - APCS. 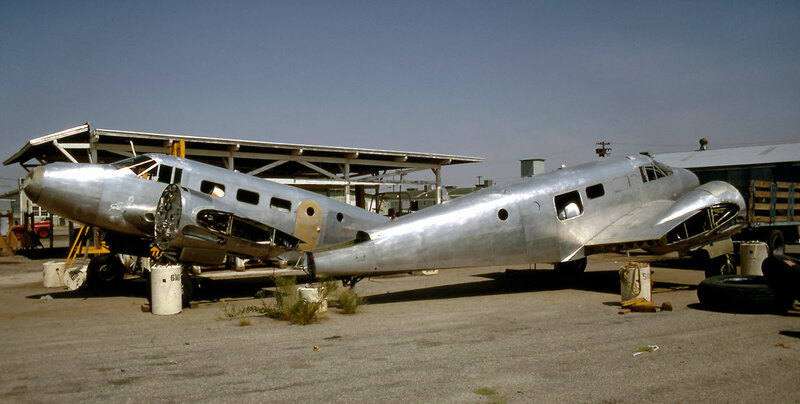 Two anon Beech 18/C-45 await some TLC. Two SNB-5 await their turn - maybe? "8868" ex MCAF Futema was one - unable to track that one down however.. I always like to peek over fences, you never know what you will find! N1311N Boeing PT-13D Stearman (75-5779) shares the Falcon Field ramp with N2860 (2860) Boeing N3N-3 and one other. Six were present on our visit. 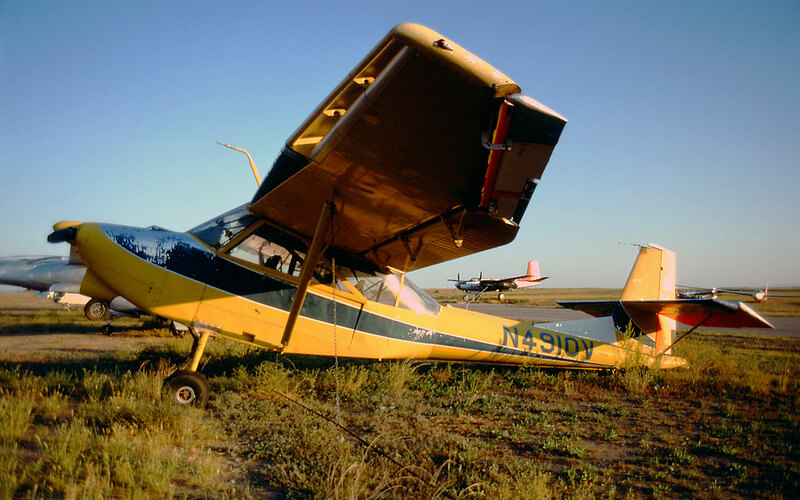 N55987 (75-2471) PT-17 , N59734 (75-3160) PT-17 , N70074 (75-3404) N2S-4 and N34333 (?) were the others. I wonder what happened to them all? 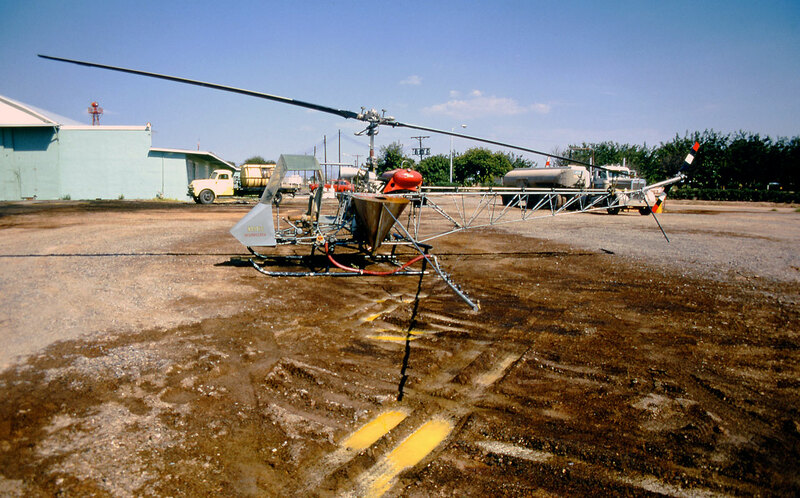 N4916C Bell 47 - unusual conversion (1) - we won't even mention the chemicals! Falcon Field. 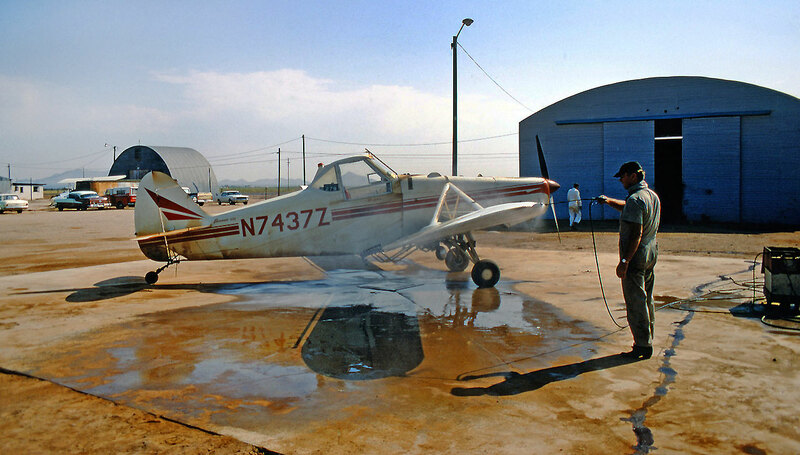 N7437Z Piper PA-25 Pawnee (25-3423) gets a token wash down at Three Point Airport, Casa Grande on 09 September 1968. 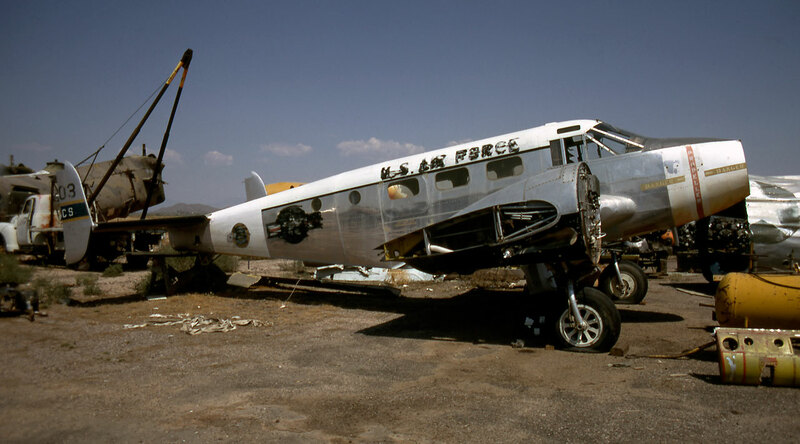 This aircraft crashed at Casa Grande on 27 July 1969 taking the life of the pilot. 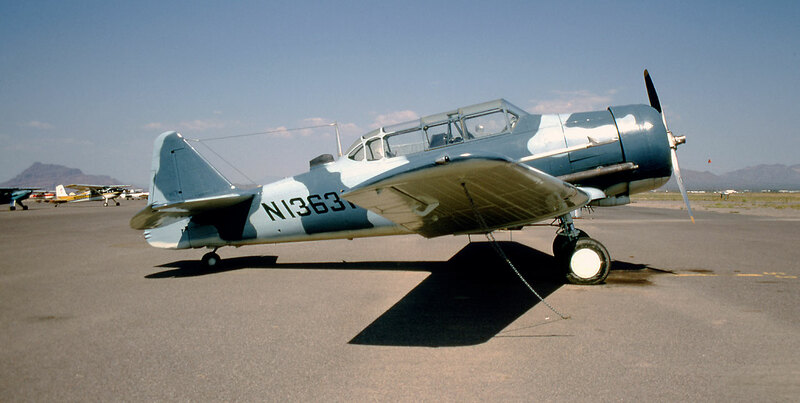 N13631 Harvard IV (CCF-4-077) ex 20286 at Falcon Field, Mesa - 08 September 1968. 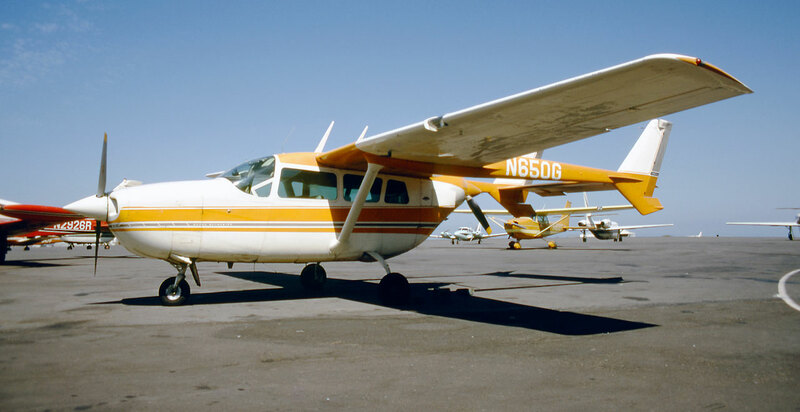 N213V Cessna 195A (7181) cancelled from USCAR in 17 May 1976 as destroyed. 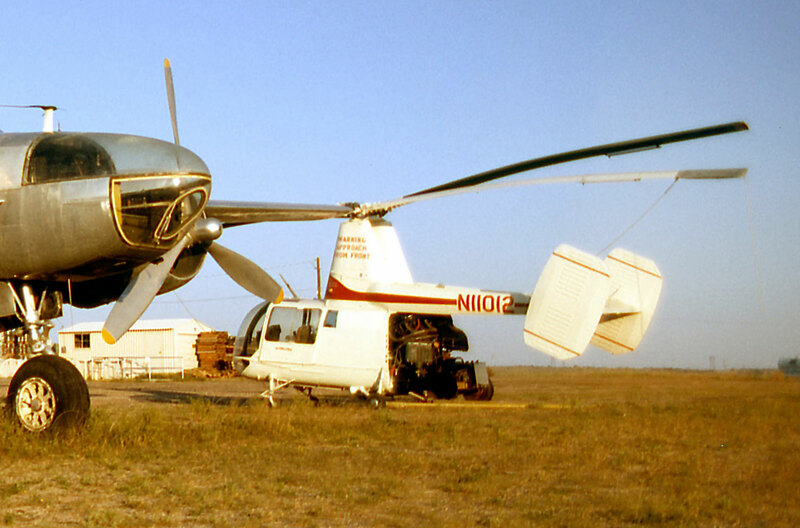 Little Hughes 269 N8763F 0087) all wrapped up, and still going strong in 2014 in Idaho..
N827C Stinson 108 (108-3827) at Falcon Field, Mesa 08 on September 1968. A twenty-three year old dreamer ;-) Tom Baillie (who took the above snap of your's truly) did get to fulfill the dream in 2013! 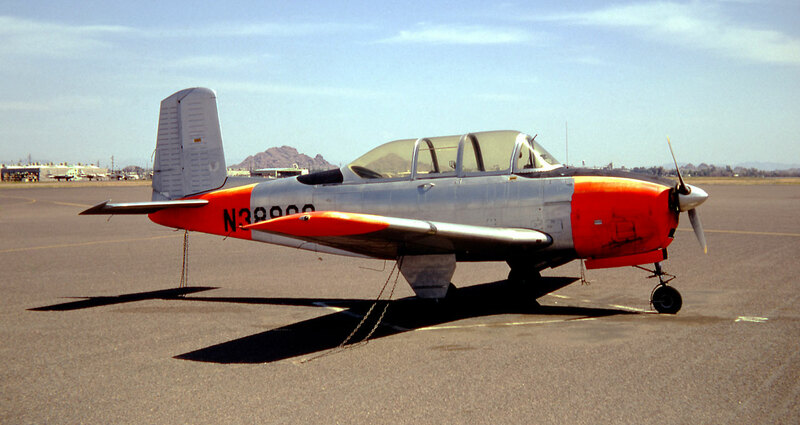 N6625D North American P-51D-30-NA Mustang () ex 44-74425 of Superstition Air Service at Falcon Field, Mesa, Arizona - 08 September 1968. Later PH-DSI "Damn Yankee". An aside: I have seen the registration PH-DSI painted on another aircraft, at Prestwick, a Douglas DC7C Seven Seas (45188) of KLM!! 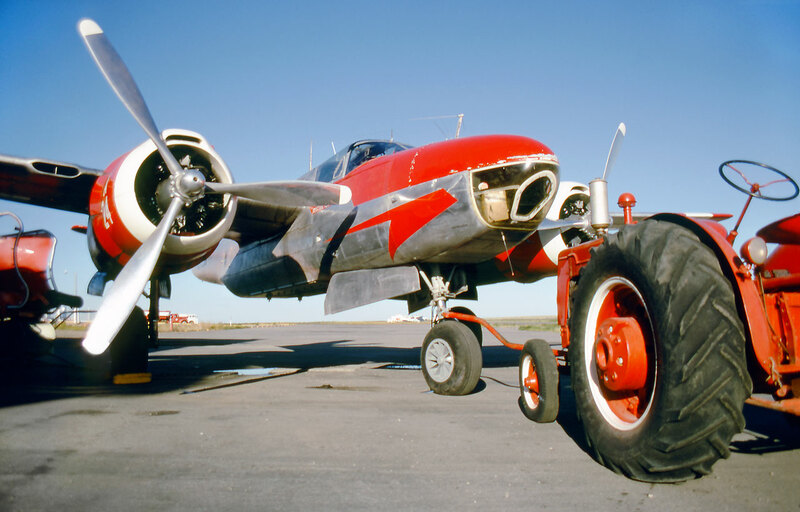 Here is a picture of that aircraft actually at Prestwick taken by Robin A. Walker © 02 September 1959. 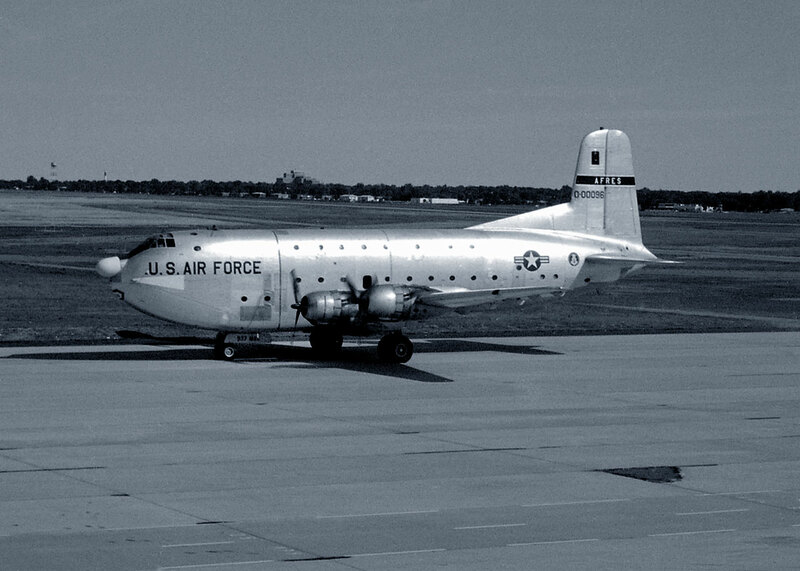 50-0096 Douglas C-124C Globemaster (43234) USAF-AFRES at Denver - Stapleton on 18 September 1968. 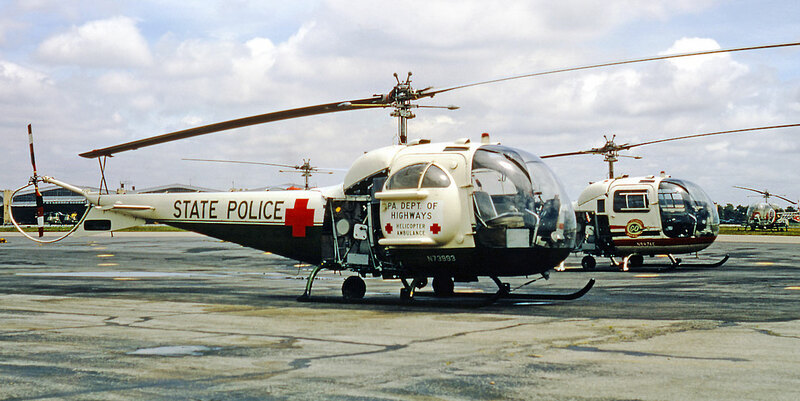 To MASDC 17 April 1969. N847TW Boeing 727-31 (18752) TWA makes a smokey arrival while N901TC Hawker-Siddeley HS.125-731 (25108) passes by. 18 September 1968. 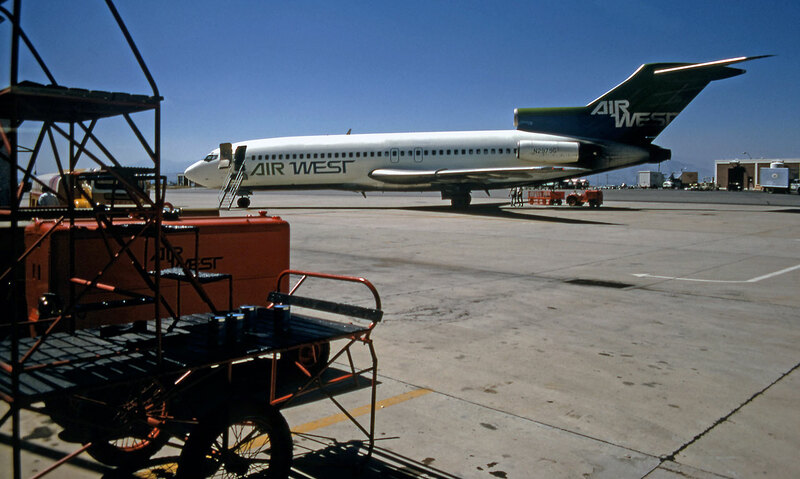 N3163 Boeing 720-047B (19413) Western Airlines, snapped during my stopover at Denver - Stapleton, 20 September 1968. 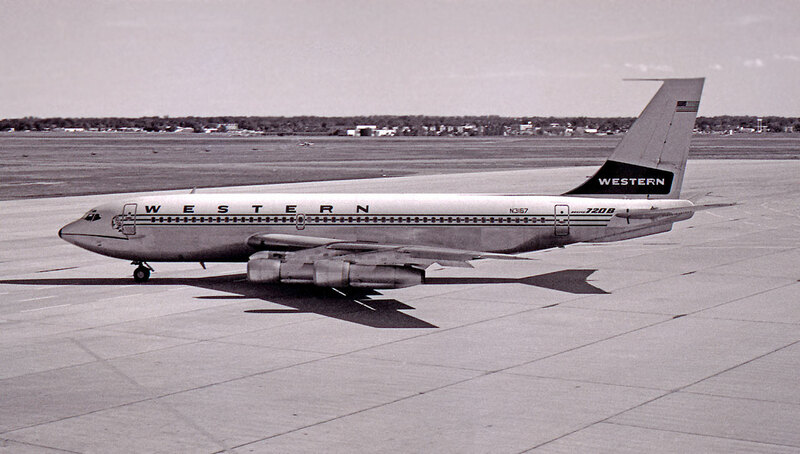 N3167 Boeing 720-047B (19523) Western Airlines, heads out. N57201 Boeing 720-024B (18416) Continental Airlines. 20 September 1968. 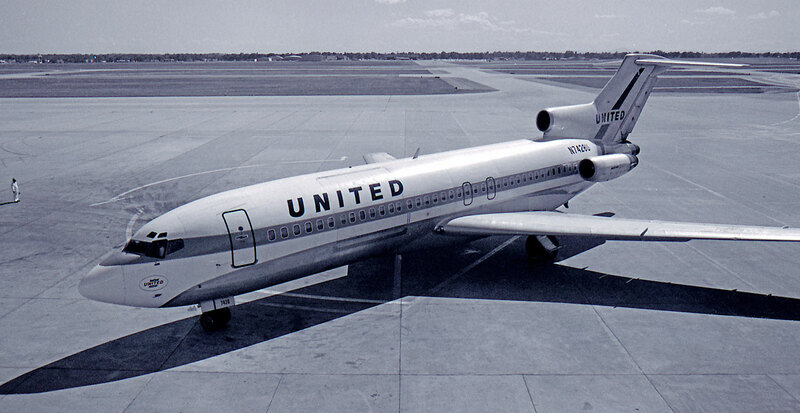 N7428U Boeing 727-22C (19203) United Airlines arrives at Denver. Note cargo door. 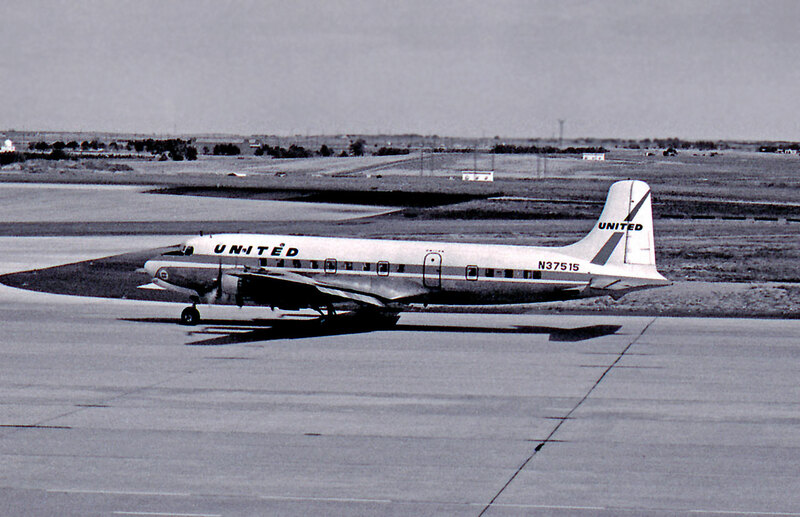 N37515 Douglas DC-6B (43004) United Airlines "Mainliner Rhode Island" departs on a schedualed flight, 20 September 1968. We of course met again in Alaska when it was N666SQ. N37567 Douglas DC-6B (43004) United Airlines, awaits as flight crew member arrives, while N119 Douglas DC-9 (45732) FAA leaves, newly acquired ex HB-IFB, later N29 and finally N813TL. 20 September 1968. We hit the jackpot here - just before the melting pot! 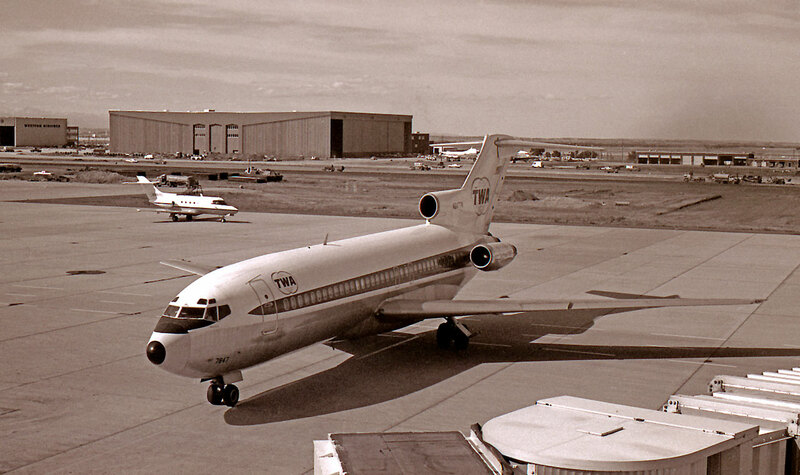 Some fifteen L-1049 Connies, twenty Douglas DC-7, three Vickers Viscounts and one lone Convair 240, N17417 (108). 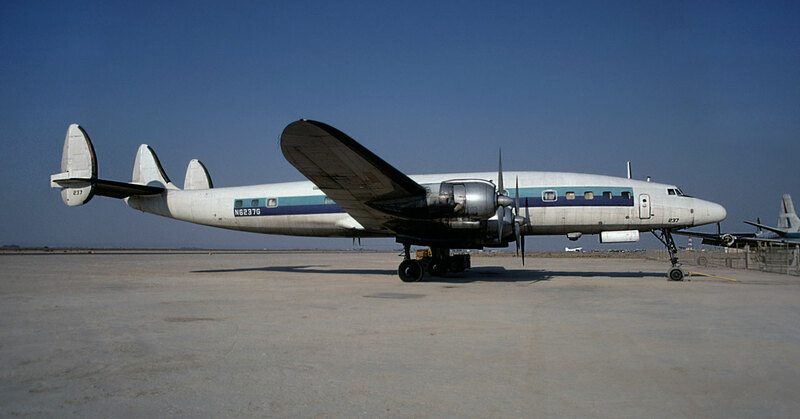 N827D Douglas DC-7B (45336) ex Overseas National Airways. 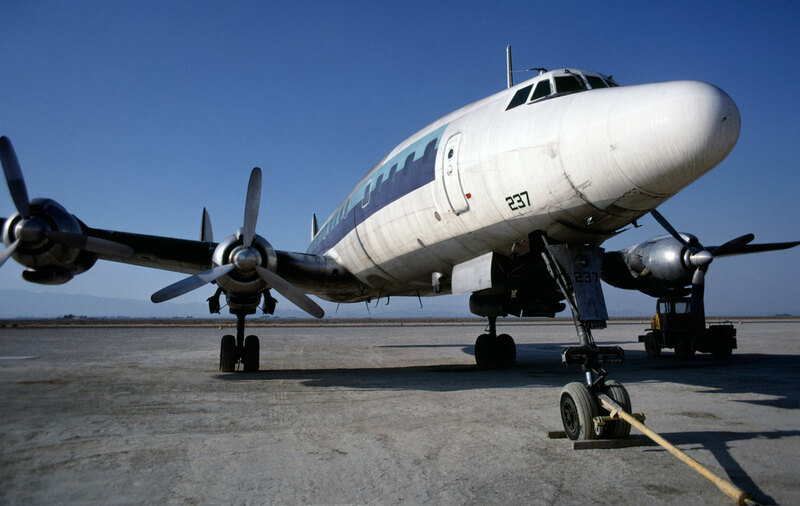 N812D Douglas DC-7B (44863) ex Eastern Airlines, flanked by N832D (45341) and many others, all engineless. This image from the web must have been taken after the time of our visit. 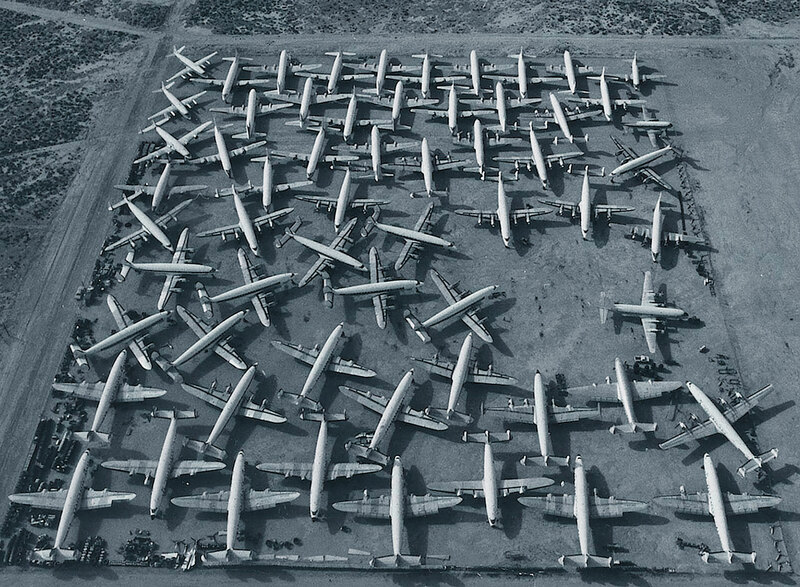 Two Convairs on that occasion, only two Viscounts. 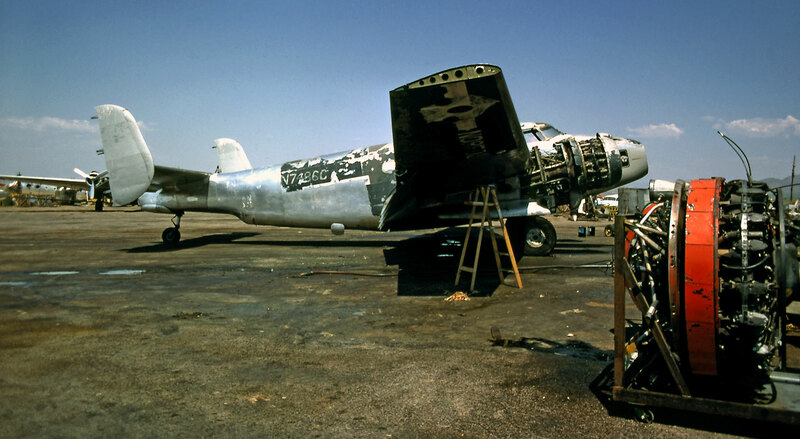 N6237G Lockheed L-1049H Constellation (4662) just purchased by California Airmotive ex Eastern, not quite in the boneyard at Fox Field, Lancaster, California - 12 September 1968. 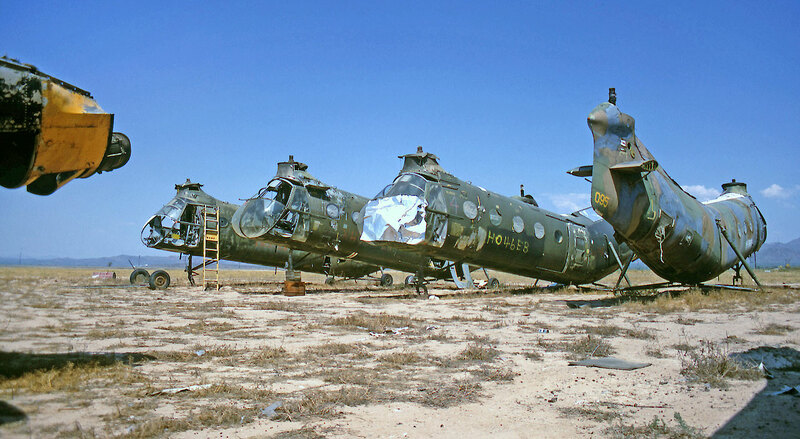 Broken up in 1971. 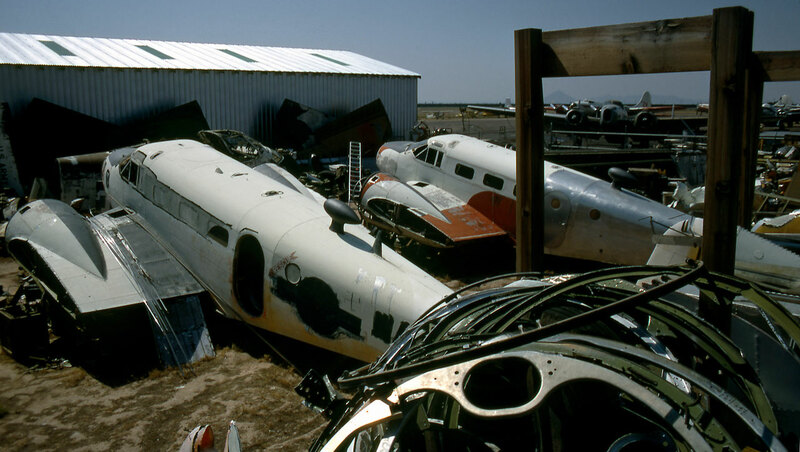 Most of the others in the yard were scrapped in 1970 I believe. 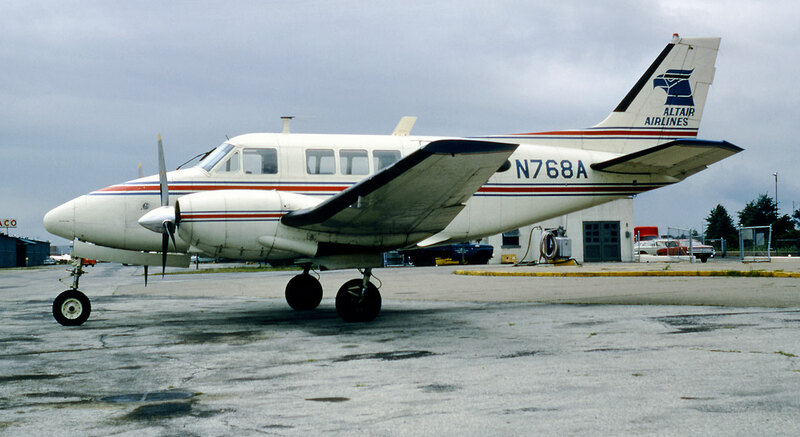 N7821M Fairchild FH-227 Friendship (500) of Mohawk Airlines awaits my custom, on the ramp at Binghampton, New York. 24 September 1968. 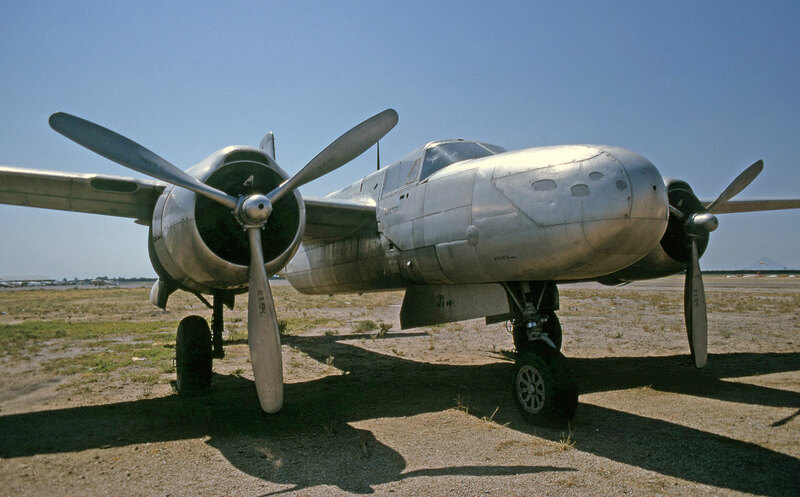 N9425Z / A24 Douglas A-26C Invader (?) 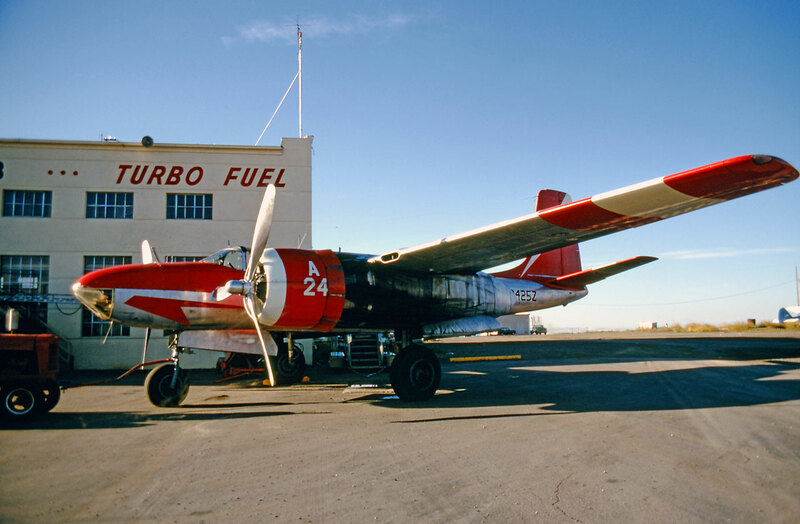 ex 44-35721 in the early morning at Billings, Montana - 14 September 1968. 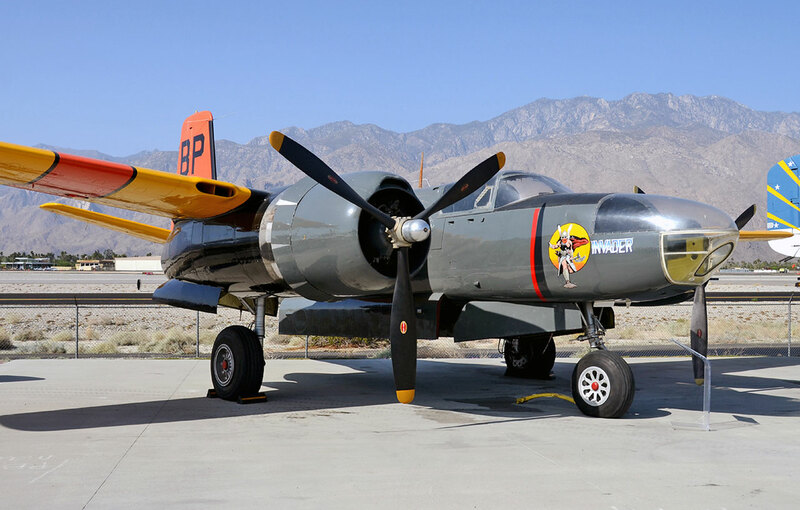 I reunited with this airframe at the Palm Springs Air Museum in May 2009. An amazing selection of aircraft were noted at Missoula, Montana during my visit back on 16 September 1968. This is the first time I see these images in print, only took 49 years to get a good look at them. 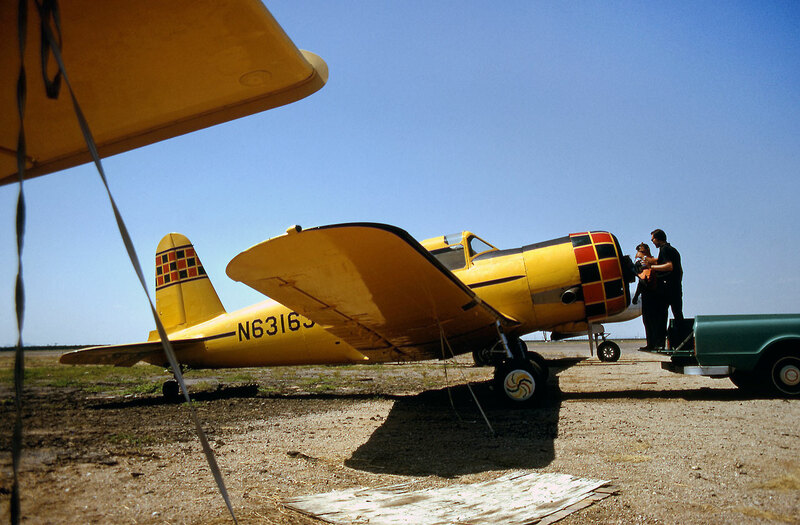 Many of the airframes have been carefully restored and are still active in 2017! Click here or the Avenger above, to go to a photo page of my visit.